We are delighted that your child will be joining us. We have put together some information to help you and your child begin to prepare for September. We look forward to welcoming you to our intake information evening on Thursday 4th July 2019 at 5.30pm. This evening is designed to help your child settle quickly into the St Paul's community and is a good opportunity for you and your child to meet their form tutor. We will provide you with information that will help you to prepare for September and provide an opportunity for you to ask any questions that you may have. You will receive an email from us towards the end of May with further details. You'll need to make transport arrangements for your child and detailed information can be found on our transportation page. For safety reasons, students arriving by car must be dropped off and picked up from the Triangle and walk through the underpass. You can buy uniform online, over the telephone, or from the on-site shop (full details on our uniform page) but also our supplier will be available at the information evening in July where students can try the uniform on for size. Our website, and the information that we send you by email between now and September, contains useful information to help you and your child understand more about how things work at St Paul's. If you have any questions, please do not hesitate to contact us. It can feel daunting transitioning from primary school, where students are based in one classroom, to secondary school, where students move around throughout the day. Our experience is that students adjust to this change very quickly, but it can help to see in advance what some of the spaces around the school look like, developing a familiarity with the school before students arrive. Term starts for our new Year 7 joiners on Tuesday 4th September 2018 as part of a staggered start; the rest of the school return on Thursday 6th September. Your child will follow an induction programme for their first few days. 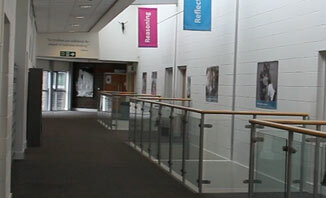 The College day runs from 8:30am until 3:25pm and is usually made up of tutor time or assembly and 6 lessons. There are only 4 lessons on Wednesdays as students participate in Enrichment during the afternoon. We follow a two-week timetable; Week A and Week B. Students will be given their timetable during the first week of term where it will be fully explained. Their timetable will also be published on Gateway and emailed to parents for convenience. Please help your child to prepare for each school day the night before until they are able to do this by themselves, ensuring they have the right tools and equipment for the lessons on their timetable. Uniform is an important part of being ready for the day ahead. On certain days, students will also need to bring their sports kit for PE. Pens, pencils, ruler, eraser, colouring pencils, sharpener, pair of compasses, a protractor and a scientific calculator (e.g., Casio FX-83GT Plus approx cost £7). If you join our e-learning scheme, your child should bring their netbook into school in its protective carry case for insurance purposes (which can be placed inside the student's bag if preferred). 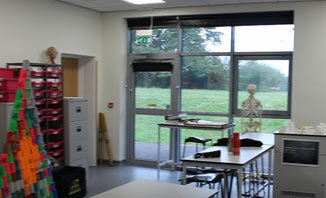 Many students find it helpful to hire a locker to store PE kit and other possessions at College. The cost of hiring a locker is £25 for 5 years. You'll be able to use our online payment system to pay for a locker. We at St Paul's, along with our catering partners Innovate Foods, are committed to providing an exceptional catering experience, with exciting menus packed with goodness, variety and attitude. We encourage parents and students to make healthy choices when bringing packed lunches. A huge selection of grab-and-go items including baguettes, paninis, burritos and salads to name a few, all using our barcode system to help speed up the queues. 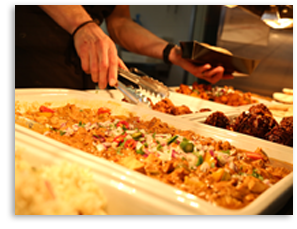 A variety of healthy, tasty main meals prepared fresh every day from carefully selected ingredients, following a weekly pattern, for example, roast dinner on Wednesday's and curry on Thursday's. Our tasty, vegetarian and vegan 'V' range including the V Burger, Falafel & Houmous Market Wrap & Vegan Fresh Fruit Smoothies. Deli-style range of snacks for Sixth Form students available all day. Theme days including Chinese New Year, American Independence Day and St George's Day to name a few. 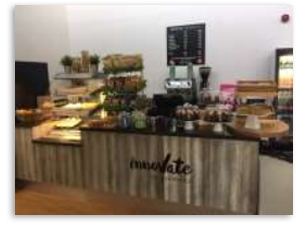 Our Sixth Form café is designed to rival some of the best high street coffee shops, serving a specialised offer designed for Sixth Form students and staff. The new menus will include a range of high quality, premium products, including made-to-order wraps, bagels and baguettes, tossed salads and home-baked cakes. We are open before and after school. 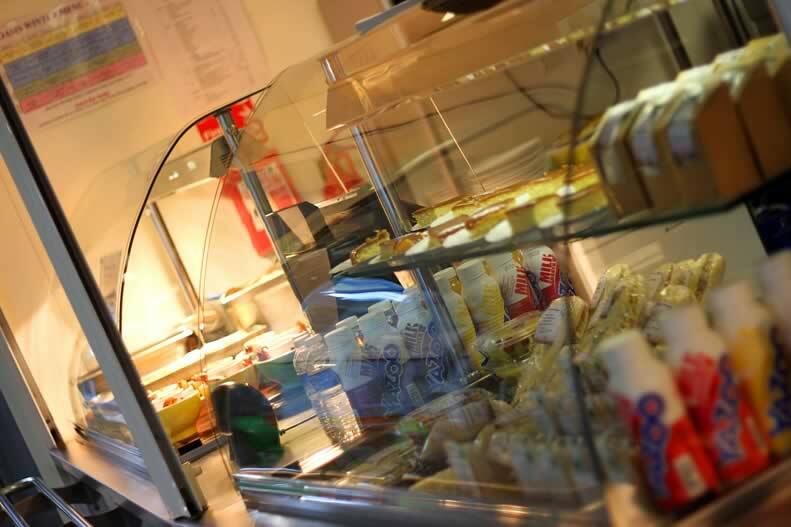 To ensure our students' gets off to a great start, we serve lots of choice for breakfast including breakfast yogurts with granola, freshly made bacon rolls and a selection of pastries. A pre-order terminal allows students to place an order before the end of break and collect their order from a dedicated pick up point during their lunch break. Cashless catering at St Paul's reduces the need for students to carry cash to College, makes the process of serving students quicker and provides parents with information on students' spending. Students use their finger (biometrics) or their College identity card for cashless payment. A default daily spend limit is set at £4. If you would like to increase or decrease this amount please contact Innovate Services. It is easy to top up your child's account using the online payment system. We will contact you in July with details of how to set this account up. Please note that online payments made by credit or debit card for Innovate Services for lunch account top ups are processed by Cunninghams, and so your bank statement will display ‘Cunninghams’ for payments made for the canteen via the online payment system. Families who do not have the facility to use the online payment portal and still wish to top up their lunch account using either cash or cheque, should direct these payment to the Innovate office, which is situated in the school canteen area. Please note that these payments can only be loaded at the very start of the school day and there will no longer be provision to top up during morning break or lunch service, so it is important to ensure that your child’s card always has available funds on it. All cheques for lunch account top ups should be made payable to “Innovate Services Ltd”. We'll be in touch by email: our finance team will email you in July with detailed instructions of how to set up your online payment account, view and top up your child's cashless catering balance and pay for trips/visits and lockers. Students have the opportunity to take part in a wide range of highly enriching curriculum-focused trips and visits during their time at the College. To help you plan for the trips/visits in your child's first year, we have provided a list of the provisional trips for year 7 students. Details of each trip will be sent out well before the event to help you plan and budget. If you ever wish to discuss financing trips/visits, please contact our finance department in complete confidence. Most communication is sent to parents via email so please make sure you keep us informed of any changes to your email address. 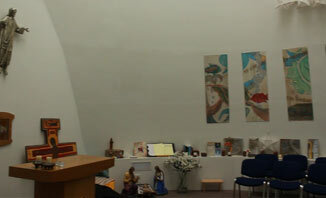 Our College website, Twitter and Facebook are a good source of news and are updated regularly. They will also include any special announcements or plans to cover unexpected events (like extreme weather). Parents' Gateway is our secure online portal that will enable you to view your child's timetable, ILT (homework), achievement, attendance and progress information online. You will also find other useful information like the College calendar and Staff Contact List. We will email you with instructions for retrieving your login for Parents' Gateway in the second week of September. We report to parents throughout the year through an interim and profile profile report published on Parents' Gateway, and through our parents' consultation evening. You will be notified by email when a new report is available for you to access. Our reporting schedule is available on our reporting to parents page. Our head teacher, Mr Carter, offers parents the opportunity to drop in without an appointment to discuss any issues or concerns they may have on the first Wednesday of the month between 4:30pm and 8pm. You can make payments for trips/visits, lunch card top-ups and locker hire online via Parents’ Gateway. We are unable to give you access to Parents' Gateway until the second week of September but you can still make payments online (instructions to follow separately by email). Students need to complete 1 to 1.5 hours of ILT per night during year 7, made up of ILTs that are set by their teachers and supplemented with reading, research and skills practice. The amount of time spent on ILTs will increase as students move up the school. All ILTs are recorded on Gateway by teachers and are accessible to students and their parents. Students will be given a small notebook in case they need to jot anything down about ILTs in class. 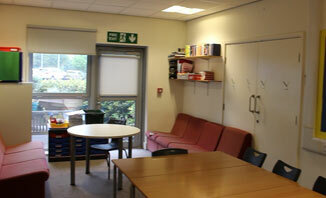 Have a permanent box in the kitchen, bedroom or wherever there is room with a copy of their timetable above it. Each evening tip the entire contents of their bag into the box and re-pack. Have spare pens and pencils waiting in the box to replace lost ones. Have important keys (door, locker) attached by an extendable line to their school bag. Bring a refillable water bottle to school each day. If you have any queries or concerns, you may email your child's form tutor directly. For academic or curriculum related queries, please contact your child's subject teacher instead. Email addresses for all of our staff are available on St Paul's Gateway. 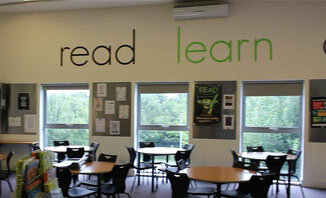 Check on Gateway daily for new ILTs (independent learning tasks). Set aside 1 hour each week day evening for independent learning tasks). Try to create a regular routine for completing ILTs and make sure your child has a quiet, comfortable and distraction-free place to work on them. If there are no ILTs set use the time for reading, or revision for science or topics studied in geography or history. Learn some more language verbs. Complete a few exercises on the 'My Maths' website. Write a poem or song, draw something, read some daily news and write your opinion on it. 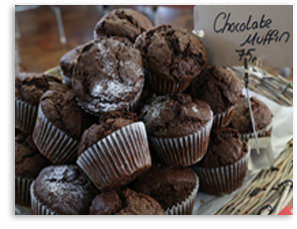 Look up some recipes and source food locally ready to cook at the weekend. In the first week of September, students will be given their personalised login for St Paul's Gateway which will allow them to access their timetable, ILTs, interim/profile reports, courses and much more. Please reassure your child that they will be given plenty of support and training in their first 6 weeks to help them with all of this, including laptop/Gateway training during enrichment on Wednesday afternoons. 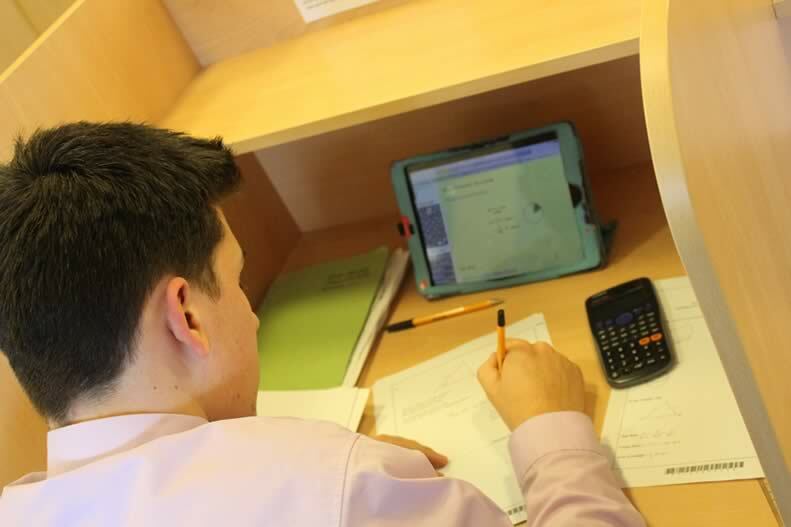 We prioritise the preparation of student accounts and usually have St Paul's Gateway accounts for parents ready by the end of the second week in September. When your account is ready we will email you instructions of how to get started. You can still make online payments even if you don't have access to Gateway yet. Our finance team will send you an email in July with detailed instructions of how to make online payments. When does the bell sound? We do not have a bell at St Paul’s. How do I know when the lesson ends? Teachers are aware of when the lesson finishes and will let you know. How will I know what lesson to go to next? You will have a timetable to follow. We have a two-week timetable called Week A and Week B. You will have different lessons each day, but the timetable is quite easy to follow and stays the same all year. What if I lose my timetable? You will have a copy on the school gateway and can get another copy printed out if you need to. How long is a lesson? Lessons are 55 minutes in the morning and 50 minutes long in the afternoon. How will I know who my teachers are? Your teacher’s name is on your timetable. Every teacher has a code and if you have any questions your form teacher can help. How long is registration? Registration is 25 minutes long every morning. How often do we have assemblies? You will have assemblies on two mornings a week, the other registrations will be time in your form group doing activities or morning reading. How will I know what my homework is and when it is due in? Your teachers will set your homework on the gateway with a due in date. You and your parents can access this. If you have any questions about how to do this please contact the It Helpdesk. What happens if I forget to do my homework? Your teacher will decide what happens. Homework is set to help you learn at home, and to repeat or consolidate what you learnt in class. It is a very important part of your school learning. Teachers may decide that you must come back at Break, Lunch or after school to catch up on the work. If it is after school they will let your parents know via email. How can I contact my teachers about homework? You or your parents can contact via email to ask any questions that you may have. What should I have in my pencil case? You need to make sure you bring the following equipment with you everyday: a maths set, pencil, pen, ruler, eraser, calculator. You may also want to have glue, scissors and colours but this is for you to decide about. Will I do writing in lessons? Yes lots of your lessons you will be writing in. You should have a blue or black pen for writing with and you should not write in pencil any more. Do I have to have a phone? / Can I use my phone in school? You do not have to have a phone with you, however if you do choose to bring on to school it must be turned off in lessons. What happens if my laptop stops working? You can get help from the It Helpdesk in the Learning Resource Centre. How often will I use my laptop in lessons? You will use your laptop in lots of different lesson and should make sure you bring it to school charged every day. You should also bring your charger with you. What uniform do I have to wear? You will be given a list of what uniform you need. Parents can buy the uniform from Valentino’s who also have a shop in school. Do I have a PE uniform? You will require a PE kit as well and you must make sure you have that for all of your PE lessons. Does the corridor get busy? 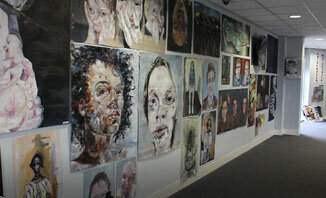 The corridor does get busy at times, especially when the lessons change over. You will given support for the first few weeks until you get used to this. Where do I eat my lunch? You can eat your lunch in Oasis which is our canteen, outside or in certain areas around the school which you will be told about. Can I buy lunch? You can buy lunch from the Oasis. What type of lunches are available to buy? They always offer salad, sandwiches, drinks, pasta. The Oasis then offers different types of hot lunches for you to buy, they also run themed days where there is food offered from different countries. Do I have another break in the day? There is also a 20 minute break in the morning. What sort of clubs are there? 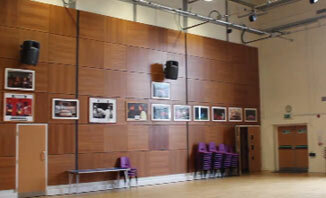 There are many different sorts of sports and music clubs. You will be given a timetable of what is on when. Clubs will run in school time and also after school. How many clubs can I join? You can join as many clubs as you like as long as you can still get home safely after school. What trips will there be each year and how will I know what is available? Your parents will be emailed with any letters about trips that are running. The trips change every year so please make sure you keep watch for any letters and talk to your friends. Please let us know if we have missed anything that may be helpful to you as a new arrival.